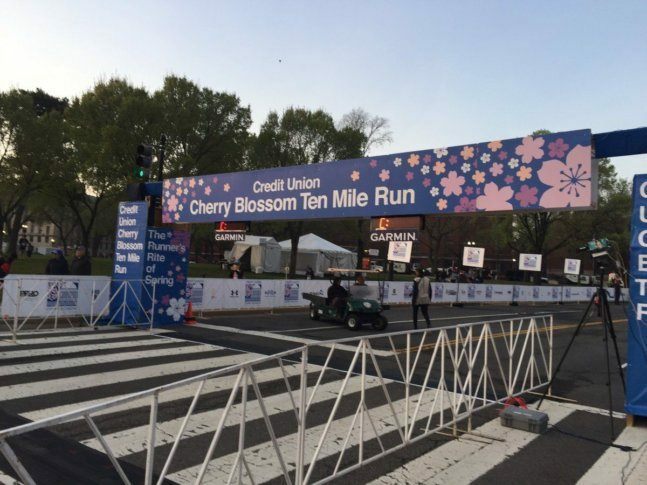 The Credit Union Cherry Blossom Ten Mile Run and 5K Run-Walk brought thousands of runners from around the country to the Tidal Basin near the National Mall on Sunday morning. The runners toed the starting line just after 7 a.m., ready to take on a course that promised some of the prettiest views of any distance running event. 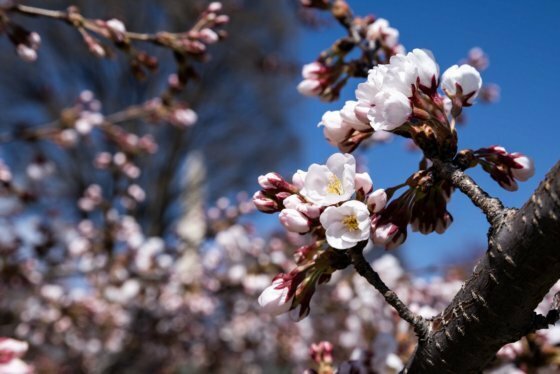 The course takes runners near or under the canopies of thousands of D.C.’s famous cherry trees. At 7:18 a.m., the elite women’s runners — those who hoped to claim the top spot and potentially set a new course record — took their places. The men’s elite group lined up to run around 7:30 a.m. Runners in these elite groups expect to be done with all 10 miles of the course within an hour. By 8 a.m., the bulk of the participants were underway. Even the slowest runners are expected to finish by 10:30 a.m. Overall the fastest runner was Jemal Yimer, a native of Ethiopia who finished in 45:36. It’s the second year in a row that he’s won. Stanley Kebenei of Colorado finished in fourth with an even 46:00, but that’s still faster than any American has ever run this race before. The petals on the cherry trees aren’t the only thing blossoming today either. Rob Farney of Chicago used to live in the DMV and had run this race before. This year he brought his girlfriend, Kirsten Prost, with him from Chicago. More than the race, she’ll probably remember what happened the day before her first Cherry Blossom 10 Miler. The run also brought with it a morning of road closures as participants made their way up Rock Creek Parkway, down the Potomac River Freeway and around East Potomac Park and the Tidal Basin. Most roads were reopened by 9 a.m., but some will remain closed until the early afternoon. From 6:45 a.m. to 10:45 a.m.